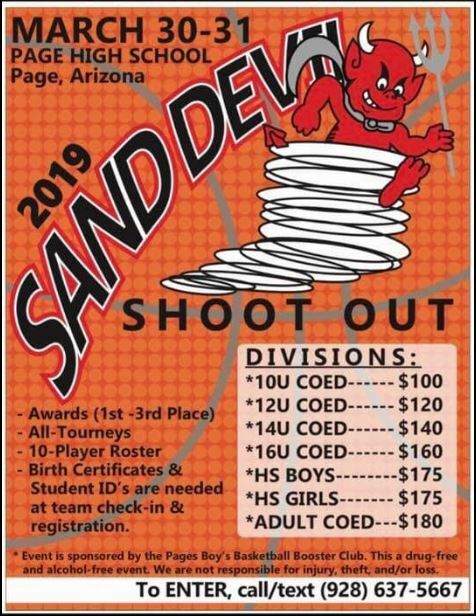 Sand Devils boy’s basketball booster club is sponsoring the 2019 Sand Devil Shoot Out. If you’ve ever wanted to bring the playground team to the gym, here is your opportunity! The team this season finished as regional runner-up and ranked 11th in the state among 3A schools. The tournament will be held March 30th and 31st. All proceeds go to support the Sand Devils boy’s basketball program.